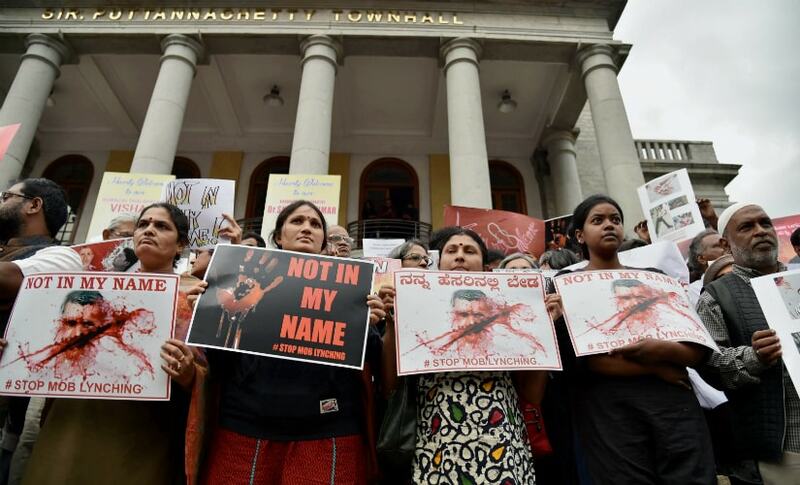 Mumbai: Several activists, film personalities and youth on Wednesday staged a protest, opposing 'community-targeted' mob lynchings. 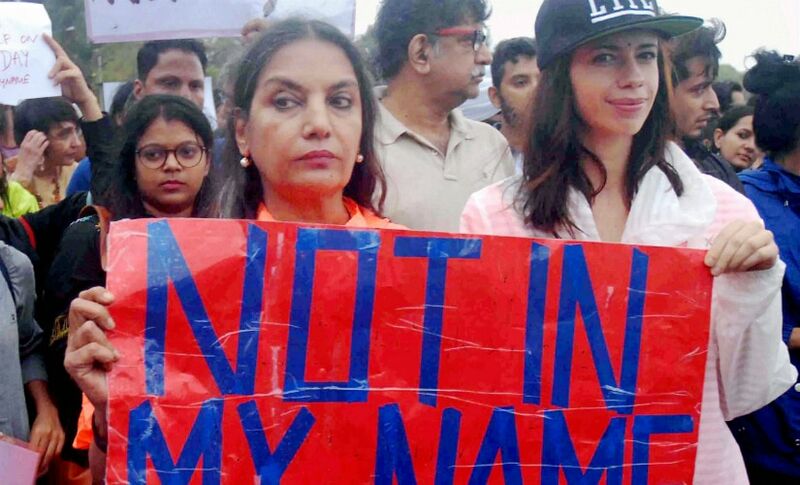 Actors Shabana Azmi and Konkona Sena Sharma were among those who participated in the protest held at Carter Road in suburban Bandra on Wednesday evening. 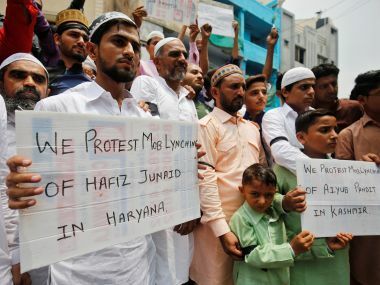 "Today's protest was against the savage culture of mob lynching," journalist and author Rana Ayyub said. 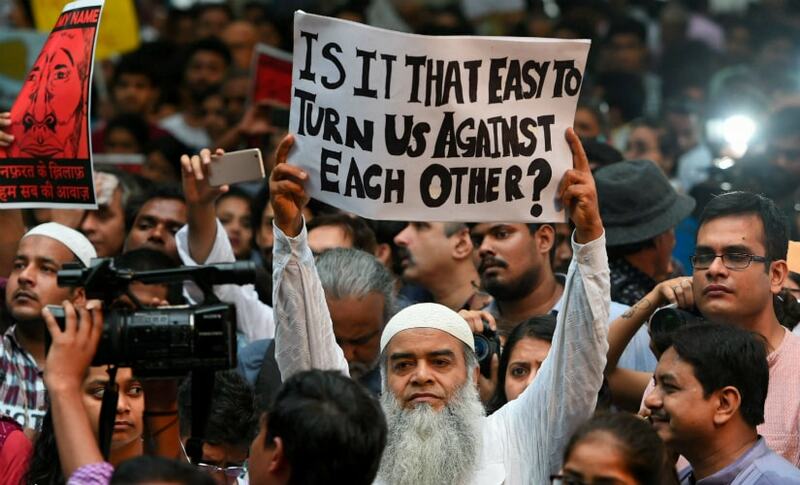 The anti-lynching movement has gained traction after Saba Dewan, a documentary filmmaker, posted on Facebook about a protest she wanted to organise at Jantar Mantar in Delhi. 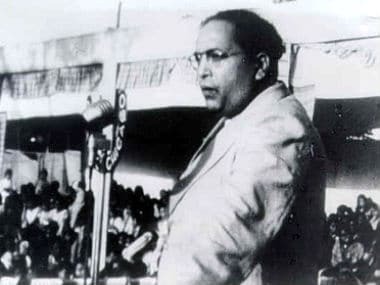 Similar marches have been held in Kolkata, Hyderabad, Thiruvananthapuram and Bengaluru. 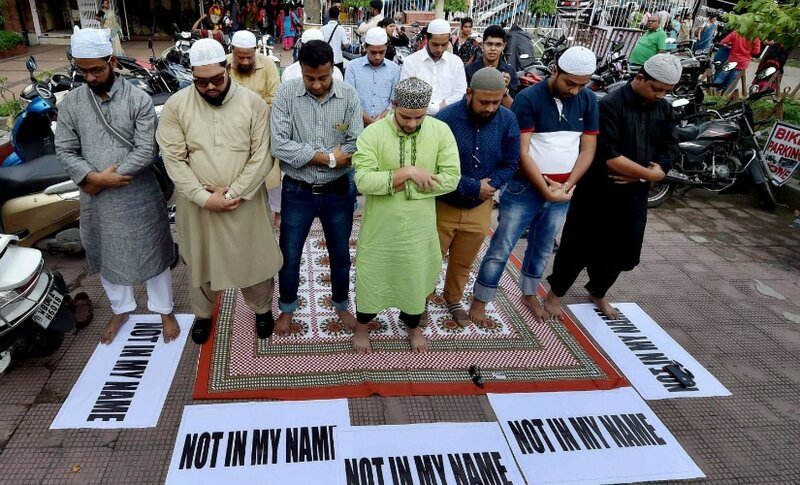 A member of the Bandra West Residents Association, who participated in today's protest, said the campaign, started with the hashtag #NotInMyName, is an attempt to 'reclaim the Constitution' and resist the `onslaught' on the right to life and equality.